Chelsea midfielder response to comparisons: I'm not here to do what Matic did. 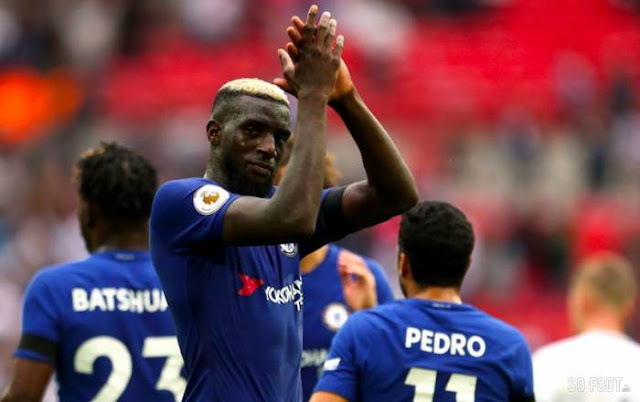 Tiemoue Bakayoko has spoken out on comparisons being made with Nemanja Matic and has re-iterated that he is someone who should be judged on what he has come to Chelsea to do. I have to be honest, I am getting a little tired of the ridiculous comments on social media from so-called Chelsea fans who have only been supporting the club since we became successful. They have no-basis for opinion and for all those of you who listen to them shame on you. One of the most irritating for me is these glory-seeking idiots making ridiculous comparisons of our current players compared to those that have left the club. There is no point, nothing good can come out of it so cut the negativity and get behind the players that ARE here and WANT to play for Chelsea! So to one of those players that people have made comparisons and that's Tiemoue Bakayoko. Ever since he signed he has been compared to Nemanja Matic with those amongst the Chelsea faithful bemoaning the sale of the big Serbian to Manchester United. Matic refused to sign a new Chelsea contract and told Chelsea that he wanted to leave with nothing doing to try and keep him here. Get over it. What is important to remember about Tiemoue Bakayoko at this stage is that just like Eden Hazard, he missed pre-season training due to injury and is still behind his team mates when it comes to match fitness. You always here pundits and ex-players talk of the importance of having a full pre-season and he missed that so is playing catch-up. 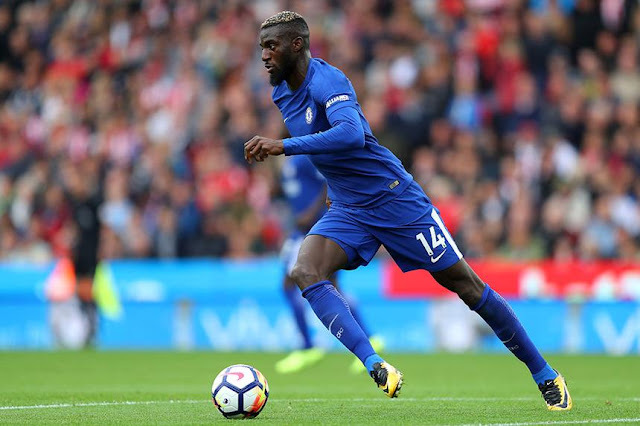 Even still, there are real signs in my view that Bakayoko will be more influential in that midfield area next to N'Golo Kante than his predecessor. He has had some good games so far and some that haven't been great but it will take time for him to settle down and feel 100% comfortable. "My role is about linking up well with the player alongside me, whether it's N'Golo or Cesc (Fabregas). We all know that N'Golo was named the best player in the Premier League, so I've been learning a lot from him. I'm not here to do what Matic did. Matic is a player that I really like; he's a very good footballer. I'm here to play my game, to try to implement what the coach asks, which means sticking tight to the opponents' playmaker, getting forward when I can and, above all, controlling the ball well and anticipating the play. I'm trying to show a mix of the two: part of what N'G [Kante] is about and the technique that Matic has. I've watched both players a lot and Chelsea are a club that I've always watched. I watched almost all of the club's games last season. I don't want to do what Matic did here just because I play in the same position as him. I'm trying to do what I know how to do and if the coach is happy with that, great. If he isn't, I'll keep working hard to become the player that he wants me to be. So far, things have been positive. I've played in several games already and we've picked up some good results. The last two or three matches haven't gone quite as well, but I feel that I'm still progressing. I'm playing for one of the best managers in the world. Many of the best players in the world are also here, so you can't help but improve. Antonio Conte is one of the main reasons why I signed for the club. I knew that he was a coach who'd help me improve in terms of tactical awareness, and who has won many trophies. He has enjoyed success wherever he has been. In tactical terms, I think I've taken on what he expects from the team and his players. Now I need to improve on the ball and there are some little details that need to be smoothed out. I'm improving and in a few weeks' time, I hope to be have progressed further in all facets of the game." - Source: Sky Sports. I really like what he says here and he comes across as someone very level headed. That fact that he already understands his role in the side from the manager is a positive this early into the season and as each game passes, he will only get better and better. He is an immense player with a real presence in that midfield area and has already showed signs of how good he works in tandem with N'Golo Kante as demonstrated in Madrid in our victory over Atletico Madrid. On that night, they dominated Diego Simeone's side and it was a real sign of things to come in the future as they get used to playing next to each other. Already a favourite with the Chelsea fans with his famous chant in the stands, Tiemoue Bakayoko has made an impact at Stamford Bridge since his move from Monaco in the summer. As time moves on he will get fitter and stronger to be a stand-out player in his own right for Chelsea. Maybe then, people will forget about these ridiculous comparisons.